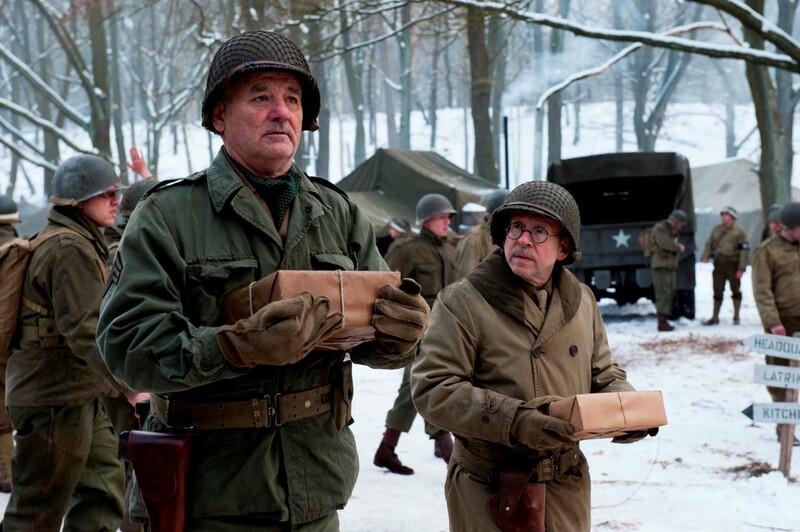 With the release of The Monuments Men on DVD this week, Flicks And The City had a few minutes to catch up with Bill Murray (BM), John Goodman (JG) & Bob Balaban (BB). Describe who you play in the film. JG: I play a character named Walter Garfield, who’s a sculpture from St. Louis, Missouri. BM: I play Richard Campbell. I play an architect from Chicago. Does knowing each other in advance inform what it’s like on set? BM: Well, we know each other professionally. We all watch each other’s stuff, and we go see each other, it’s a mutual admiration society. All these people are pretty easy to be with. The acting was going to be good, the work was going to be good, and it was going to be fun. BB: I think George creates an atmosphere that you feel more like safe, and, like, playing. It’s interesting, you could be mistaken about him because he’s charming, he’s funny, he’s easy going, but don’t be fooled. He’s very serious. How does George cope with all the roles he’s doing? BB: Well, I think one of the ways he does it is he’s very disciplined, and he’s very prepared. 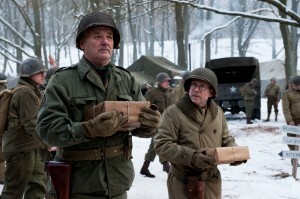 The advance time for this movie for him was almost, I think nine months. It was a really long time. And I think for him to come into this and have the freedom to work with the actors, to feel comfortable, to be an actor himself, I think his coming in with it with such preparation, with such understanding of what he wanted; he knew just the movie he wanted to make. And it helps us all when we know, when we have a guide who can help us, now go over here, go over there. I think he can be relaxed because he doesn’t have to be panicked. You know, he knows what’s happening. 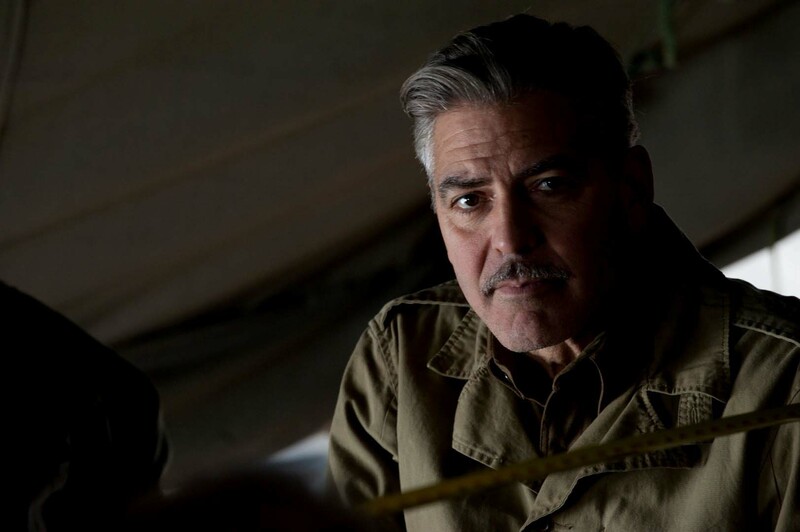 Before you guys got involved in this project, did you know much about the real Monuments Men? JG: Not a thing. I’d never heard of it until it was off the script, then I read the book, and I was fascinated by it. So many horrific stories to come out of World War II, and this was kind of buried for a long, long time. It was extremely important work that they did. Bill, did you know about them before? BM: None of us knew the story. All we knew was, sure the art had been taken. 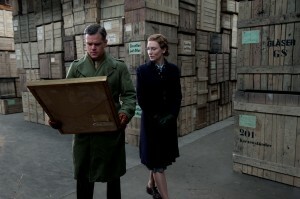 Things had been just stolen, but that there was a huge plan, an enormous plan to take all the art, all the great art, all the museums had been visited by the Nazis before the war broke out. They’d identified the pieces that they wanted to choose before the war broke out. So when things got rolling, they already had their plan in motion. You know, trucks, and packing and storing all these things that they looted, putting them in salt mines so they’d be preserved. It’s crazy, it’s mind boggling the extent to which they’d gone to prepare to just destroy the culture of the countries they were invading. The Monuments Men is released on Blu-ray, DVD and Digital HD on 9 June 2014 from Twentieth Century Fox Entertainment and can be ordered from Amazon at http://amzn.to/1kLm2Bu.